Home/Dental Office/Bridgeport Smiles Dental Office. Siegel Construction was involved from initial planning until final completion of the project, including post construction service. 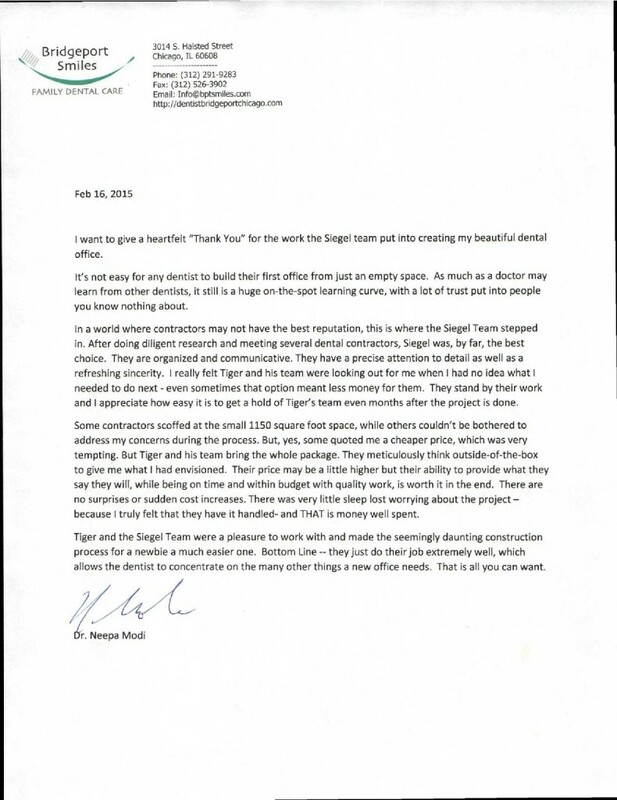 Our team was challenged by Dr. Neepa Modi, DDS to accommodate her needs for a new office, which was a challenge in a 1150 SF space. As always we addressed this challenge with a smile and were able to fit 4 treatment rooms, sterilization, private office, staff lounge area, and 2 bathrooms.